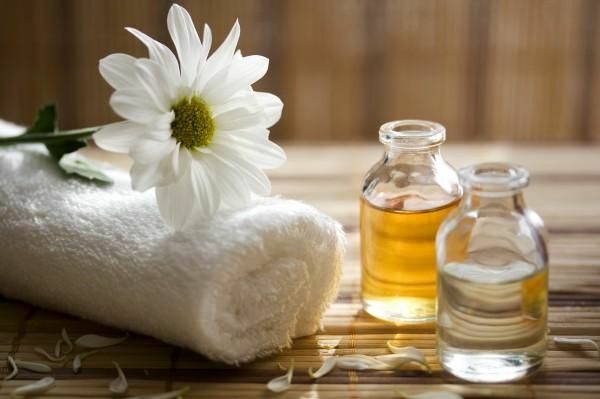 Take advantage of our Master Masseuse Fund specials. 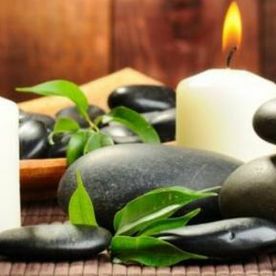 For a suggested donation of $1 a minute, enjoy a Swedish or hot stones massage, or a reiki or reflexology session. We are raising funds to edit and publish our Out of the Blue self-help series. 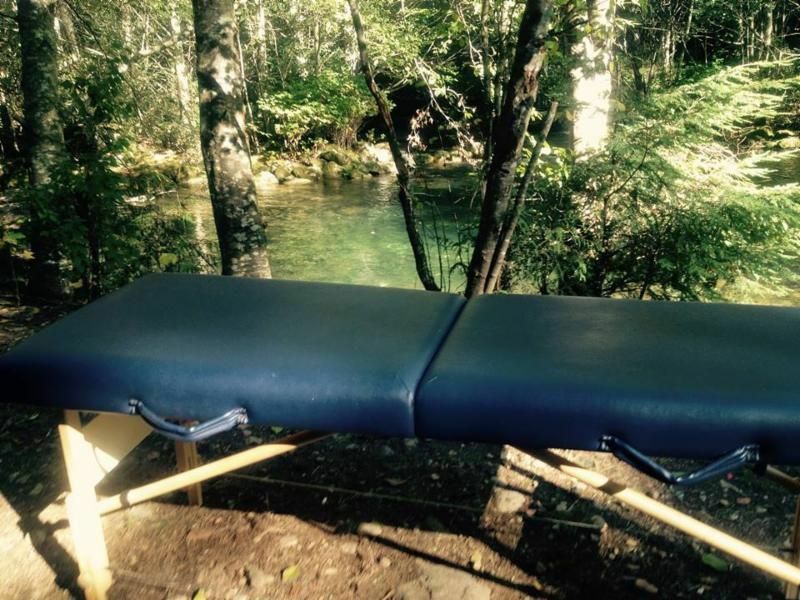 Now available for chair massages at your event! Sanatra of Being Bliss Healing Therapy is dedicated to adopting both a physical and a spiritual approach to the healing practices. 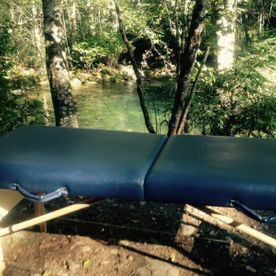 She performs her sessions in a natural environment, allowing clients to feel the healing qualities her services can bring. 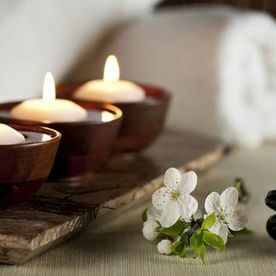 Her massage therapy treatments include techniques of soothing Swedish massage, hot stone massage, Reiki, reflexology, sports recovery work, and aromatherapy. 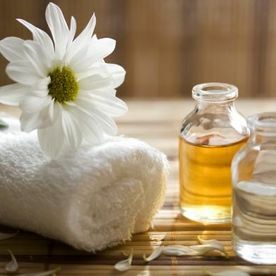 She also expands her services into ear candling, foot spa, and body wraps. Going through the challenges of life, many of us feel overwhelmed and helpless. Being Bliss Healing Therapy invites you to reach out for spiritual guidance, which often can shed light on otherwise perplexing situations. 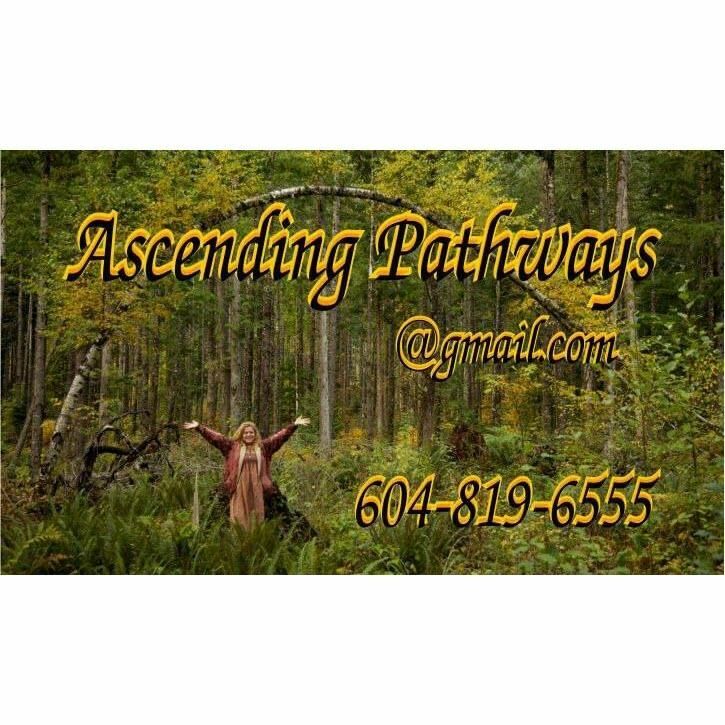 An experienced and gifted Reiki master, healer and masseuse, based in Chilliwack, Sanatra, offers aura readings and healing sessions that aim to help you let go of old pain and increase your awareness. 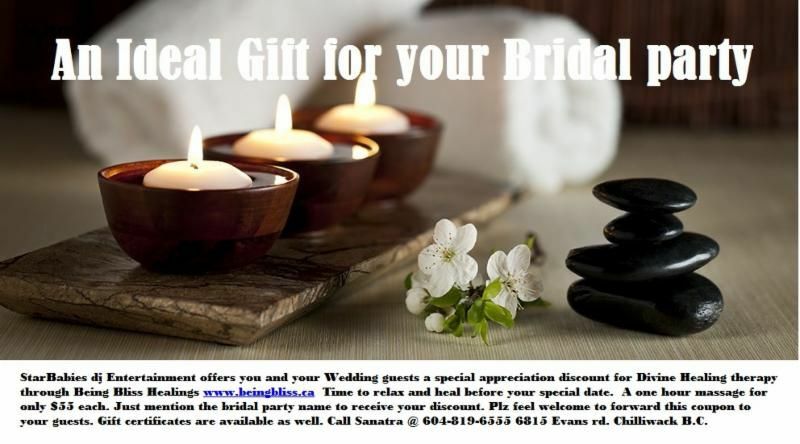 Sanatra has served the Fraser Valley with readings for more than 25 years. Sanatra is also certified in energy psychology, behavioural medicine, and preventative medicine, enabling her to practice interactive meditations, hypnosis, and mind body alignment guidance. 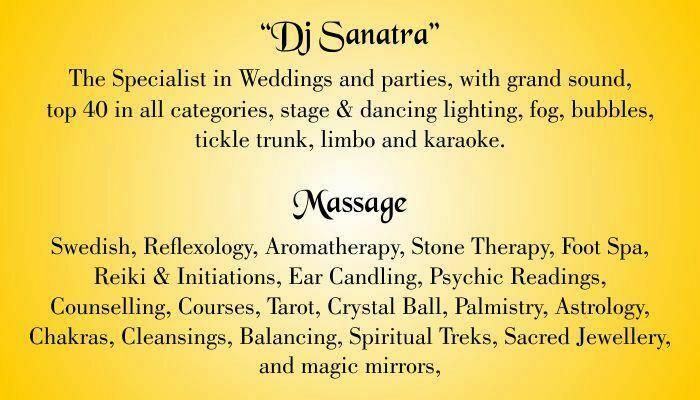 Due to the personal nature of her work, Sanatra sees her clients only by appointment. Please contact Sanatra by phone, text message or email for guided insights, psychic readings, palmistry, crystal ball and crystal gem readings, channeling, auric readings, and tarot readings that reveal the past, present and future. She also provides yearly or monthly forecasts through intuition and/or astrology, upon request. 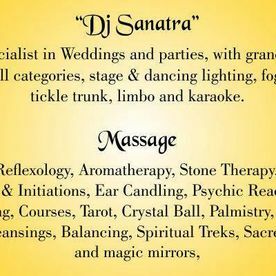 If you're planning a wedding, a birthday bash or a family reunion, DJ Sanatra will make it more fun by playing well-loved hits. Your friends and family will enjoy dancing and letting loose during karaoke. Book a DJ for all your Fraser Valley events! 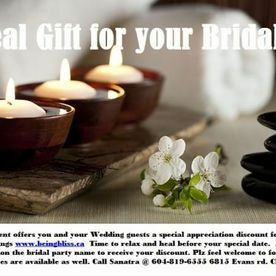 Learn more about Being Bliss Healing Therapy and find pricing information by visiting srisanatra.com. Please call if you have any questions.